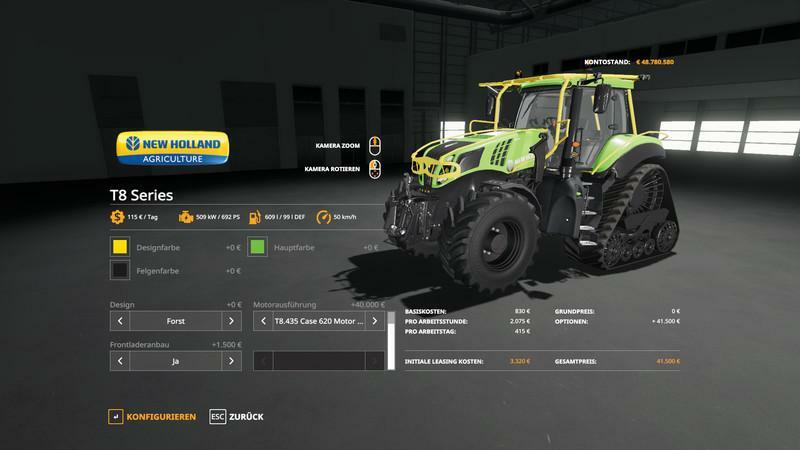 I sat down at the NHT8 and tried to get it to the level of my FS17 New Hollend T8 Tuning. Unfortunately, as good as no scripts are available so that it only once went to the performance, speed, color, designs and front loader. Tires: Trelleborg, Michelin and Nokian Kommunal are available. Possition adapted the tape drive, original it is a bit twisted and in the same widened a bit. 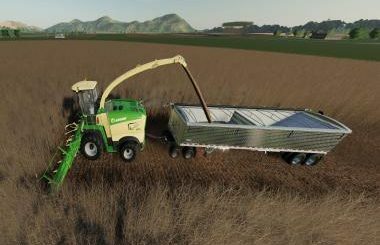 Front loader: only works 100% with the FS19_New_Holland_Stoll front loader, but others will fit but that will change as soon as the Vehicle.lua is known and you can add JointTypes. If there are the LightsAddon and the GearboxAddon these will of course be added again.